What is the impact of the refusal of work? What kind of ‘non-human’ agents (signs, animals, food things etc) take part in our refusal? How can we re-fuse our energies, as academics, teachers, and supporters? How can art help us to re-imagine educational spaces free from the constraints of academic capitalism? 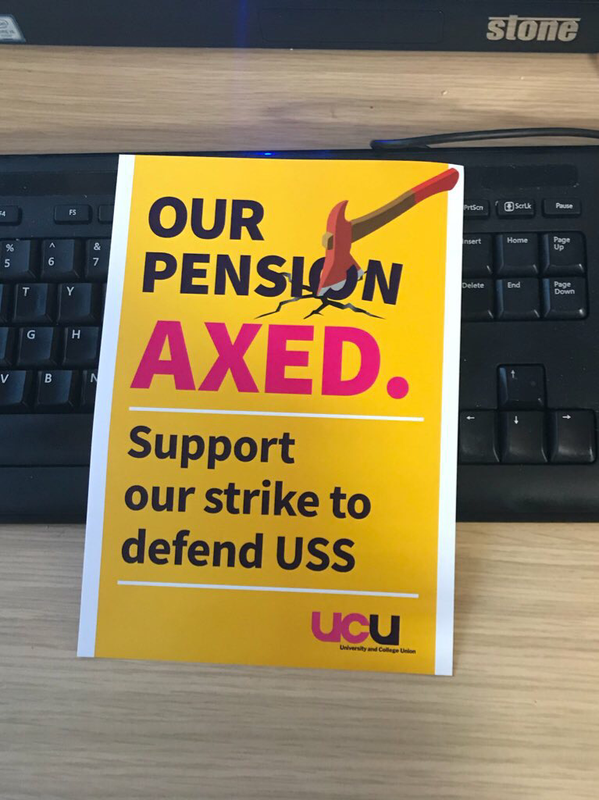 This project offers a space to share words and images created during the UCU Pensions strike - please send your contributions to us at RefuseRefuseArt18@gmail.com.